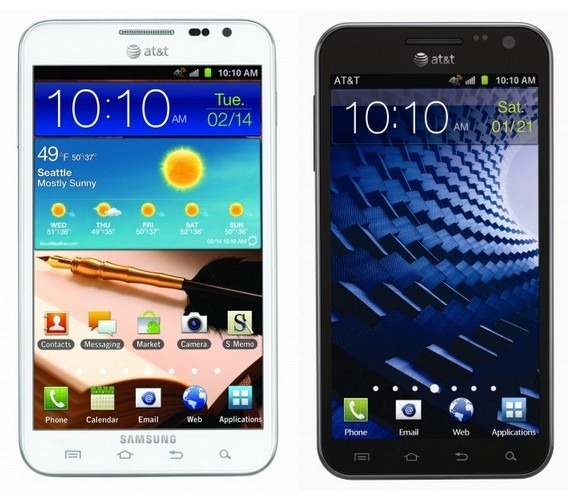 While Samsung may have started pushing the ICS update to international Galaxy Notes back in May, AT&T owners of what is essentially the same device were left wanting. Today, however, that all changes; Samsung has made available Ice Cream Sandwich for the AT&T version of the Note. Aside from all the added benefits and enhancements of Ice Cream Sandwich, Samsung has also includes its "Premium Suite" of apps designed specifically for the Note. After the update, users will find a few new applications, including S Note, an application that "enhances productivity and professionalizes communications" and My Story, an app that allows users to create customized greeting cards and notes. The update is available now via Samsung's Kies software, so simply plugging your device into the computer and launching the application should immediately prompt to perform a software update. For more info, including a detailed walkthrough of how to update, head right here. · New productivity features such as Shape Match, which refines hand-drawn shapes – such as circle, square, lines and arrows; Formula Match, which recognizes and completes complex math formulas; and Knowledge Search, which enables the user to quickly research information from a hand written note via Wolfram Alpha®database. For more information on Premium Suite for the Samsung Galaxy Note, visit ww.samsung.com/galaxynote. To update the Galaxy Note, visit http://www.Samsung.com/us/attgalaxynote/update.